We had our turkey day yesterday, what a fabulous feast! Wishing everyone a happy, healthy and fulfilling Thanksgiving! As promised, here is that card I mentioned last post. 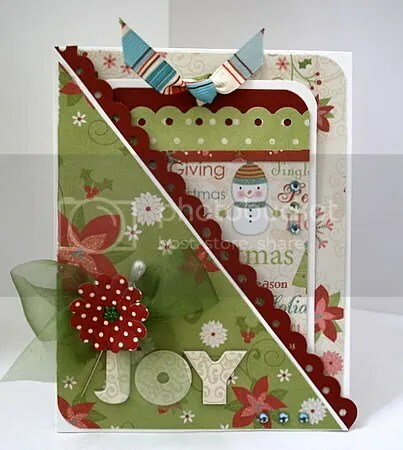 It is a corner pocket card I designed which is meant to still open like a regular card but also sports a corner pocket on the cover in order to hold a tag, gift card or bookmark. 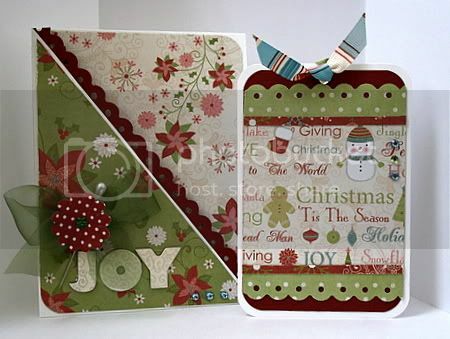 I have given permission for it to be featured on the Christmas Cards All Year Round Blog coming up soon. That’s all for a holiday Monday! BTW, the count down is on! Scrap Shotz is hosting a FABULOUS Online Crop this coming weekend! The theme is Colour Your World and kick off is at 8pm EST on Friday evening. Hope to see you there… we have oodles of challenge planned, as well as games and make & takes.